This party by Party Starters looks like a fun, not-too-dorky way of using a theme anyone with exposure to the game can appreciate... which means just about everyone! 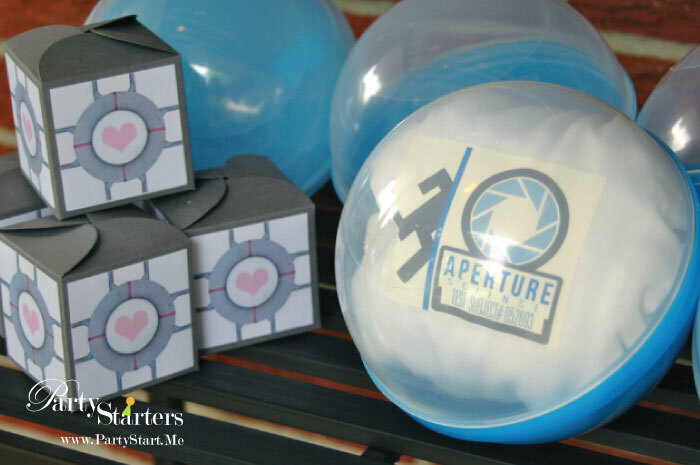 Portal was a perfect party idea for a growing teen, and Pam at Party Starters must be a pretty cool mom to pull this off without going too far! And how awesome is it that she even made the game's signature cake? Actually, if you explore, Party Starter's is somewhat of a hotspot for "dudely" parties (alas, a mother with sons). Take a look! Not to exhaust my appreciation of game-related themes for boys, but.... let's face it, guys like their video games. 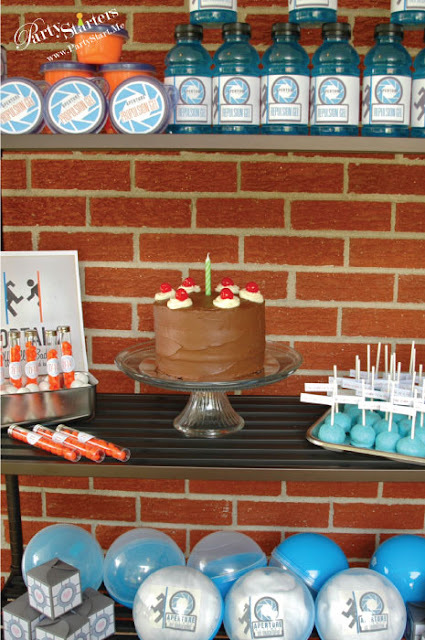 This party by Paisley Petal Events was done for a boy, but appeals to grown ups too! There's some serious Mario nostalgia for anyone gaming during the eighties, and this party definitely calls out to gamers old and new and screams "YOU WANT TO DO THIS!" Love love love the cake. Also, those marshmallow pops almost broke my heart. 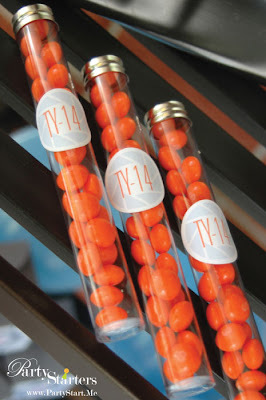 I want this party now, in my twenties, and I don't care who knows it! What are your favourite manly affairs?? I'd love to know!